Work with a real estate professional who knows the market, will do all the work for you and let you keep more money in your pocket. This is the new way to sell real estate! Call Mike Costello today and find out more about how e can sell your property and save you money! Shop Your Home-Town Local Pharmacy. 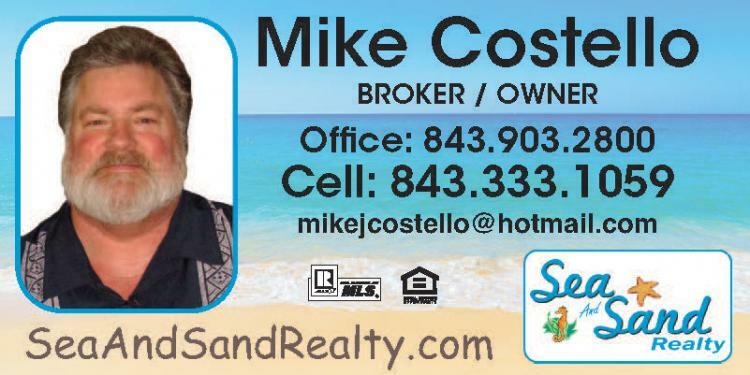 Sea and Sand Realty: Mike Costello, Broker/Owner of Sea and Sand Realty, enjoys helping others with personalized service. Maintaining a unique prospective and knowledge of the area is an important asset in the industry. He will gladly assist you in finding and securing – or listing and selling – the home or property that you have been dreaming about. Mike volunteers with multiple local law enforcement organizations helping the local community and dresses as Santa Claus spending time with disadvantaged kids every year.